If you watch gangster movies or rap videos, you’ve no doubt noticed the tendency for folks to hold their guns at a rakish sideways angle. Guns have, at certain points, been held sideways for decades. In the early 1960s, films like The Good, the Bad, and the Ugly portrayed characters in such a fashion. This was done primarily so that both the gun and the actor’s face could be seen simultaneously. This style found its renaissance in 1993’s Menace II Society, a drama about hoods in South Central Los Angeles. The film’s directors, Allen and Albert Hughes, claim they took this from a robbery they had witnessed in Detroit in 1987. After the release of Menace, holding a gun sideways became de rigueur, both in films and on the streets. 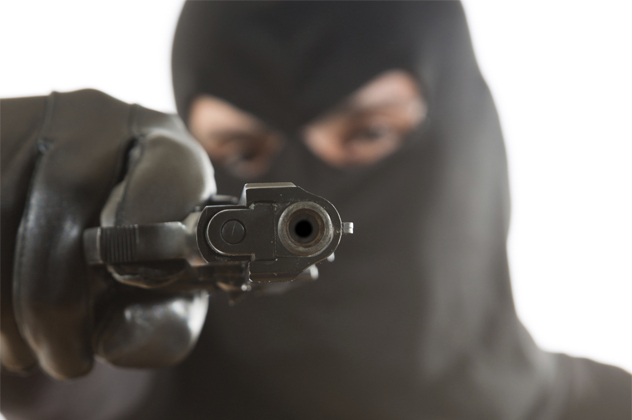 Of course, wielding a gun in such a fashion has no practical benefit, and grossly affects one’s aim. Given that beyond a few feet handguns tend to be rather inaccurate to begin with, you would prefer someone to shoot at you sideways rather than assuming an orthodox stance. If you had any kind of childhood, you’ve probably seen The Wizard of Oz many times. The 1939 classic is rife with trivia, and every time you watch it, you seem to notice something different. Here’s one thing you may not have caught—the Scarecrow was armed with a pistol. Perhaps the best view of it can be found in the video above, when the gang enters the Haunted Forest. Of course, despite the innumerable dangers the group faces, the Scarecrow never deigns to pull the trigger, despite being yanked in half by the winged monkeys, set on fire by the Wicked Witch, and having to rescue Dorothy from the Winkie soldiers. If movies and television have taught us anything, it is that space is an extremely dangerous place, populated by bloodthirsty monsters with acid for blood. Unfortunately, the oxygen-starved atmosphere of space would leave us with few options to defend ourselves from Aliens, Predators, and Klingons. The majority of guns operate very simply—a firing pin ignites a small amount of gunpowder in the base of the bullet, creating an enormous amount of gas pressure that forces the bullet out of the barrel at deadly velocity. 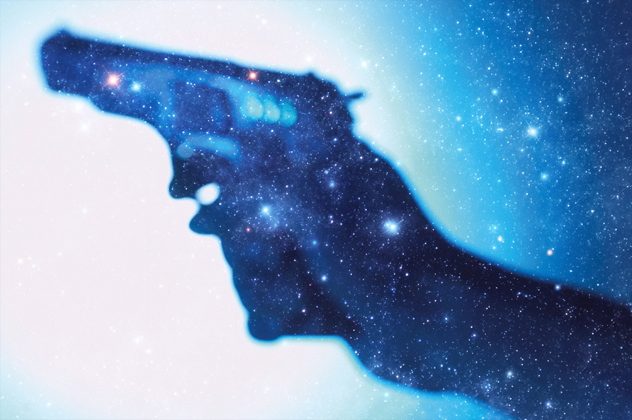 In the void of outer space, where there is no oxygen to create fire, it would seem that guns would be useless. However, modern gunpowder contains its own oxidizing agent, allowing any space traveler to bust a cap anywhere in the cosmos. Provided the bullet does not get pulled into the gravitational field of some larger object, it could conceivably soar through the universe for eternity. In years past, Russian cosmonauts actually did bring guns with them into space, but not for doing battle with aliens. Their crafts had an unfortunate tendency of landing in the middle of nowhere, and the guns were provided to allow them to defend themselves against wolves or hostile locals until they could be safely retrieved. 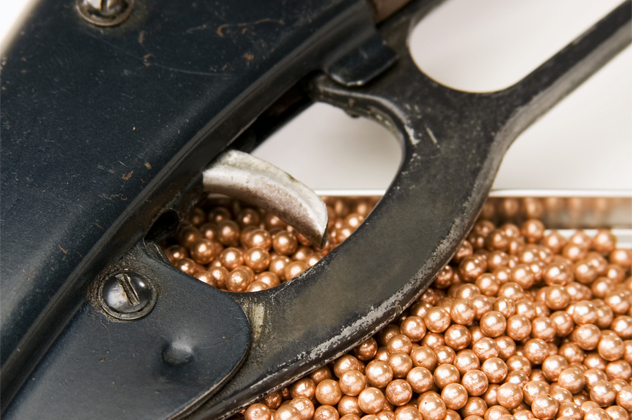 Although Daisy is known for its BB guns, it didn’t start out as a gun company. In fact, Daisy Outdoor Products was formed in 1888 to sell a decidedly more mundane product . . . windmills. The BB guns were actually a giveaway marketing gimmick for anyone who bought a windmill. They quickly became more popular than the windmills themselves, and Daisy changed their business model to what we know today. 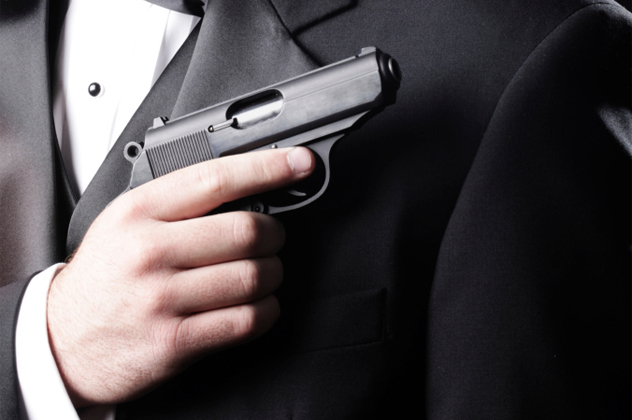 Perhaps no other movie character is as inextricably linked to guns than James Bond. In most of the films, the introduction is filmed through a gun barrel, a sequence made possible with the use of a pinhole camera. Bond appears as though he is being stalked by an enemy, only to turn and fire at the last second, killing his opponent. Fleming took the advice to heart, and went on to arm Bond with a Walther PPK in subsequent works. As a tip of the cap, he also changed the name of Bond’s armorer to “Major Boothroyd.” Coincidentally, the Walther PPK was the gun it is believed Hitler committed suicide with. Although Sean Connery was the first James Bond, he himself did not figure in the gun barrel opening sequence. Connery’s sequence was shot in silhouette, and a stuntman stood in his place. 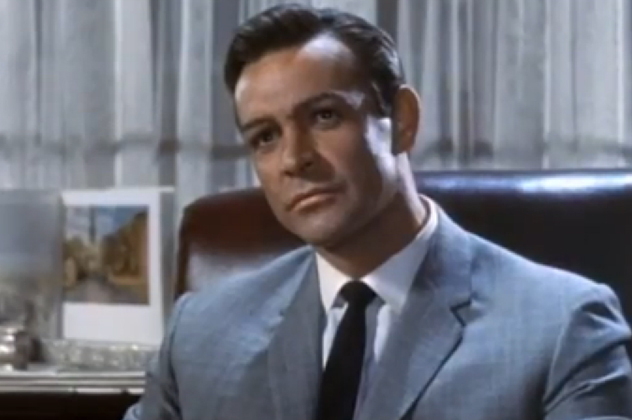 That is not to say that Sean has never been caught in the crosshairs—while shooting the 1958 film Another Time, Another Place, he was very nearly murdered. During the filming of the movie, rumors began circulating that star Lana Turner was carrying on an affair with Sean. Infuriated, Lana’s gangster boyfriend, Johnny Stompanato, stormed onto the set and pulled a gun on Sean Connery. Sean was more than a pretty face; he’d been a bodybuilder and former Mr. Universe contestant, and had brawled with gangs on the streets of Edinburgh. He knocked the gun out of Stompanato’s hand and punched him in the face, forcing him to leave. Connery claimed that he was forced to go into hiding after receiving death threats from Stompanato’s boss, Mickey Cohen. Stompanato himself was stabbed to death shortly thereafter by Turner’s 14-year-old daughter, who claimed she’d come to her mother’s defense while the couple were fighting. It was ruled a justifiable homicide. Harry’s gun was a Smith & Wesson Model 29 chambered for .44 Magnum ammunition. Calling it the most powerful handgun in the world was a bit of an exaggeration, but not much of a stretch. There were more powerful pistols at the time, but they were largely custom jobs. In the four decades since, there have been many pistols manufactured to fire .50 caliber ammunition, such as the Desert Eagle and the Smith & Wesson 500. However, their size and tremendous recoil make them impractical for anything besides big game hunting or target practice. The Make-A-Wish Foundation is well known for fulfilling the pop culture dreams of seriously ill children, sending them to Disney World or backstage at a Justin Bieber concert. Perhaps their most ambitious project to date took place in November of 2013, when hundreds of people came together to allow 5-year-old leukemia patient Miles Scott to become Batman for a day on the streets of San Francisco. 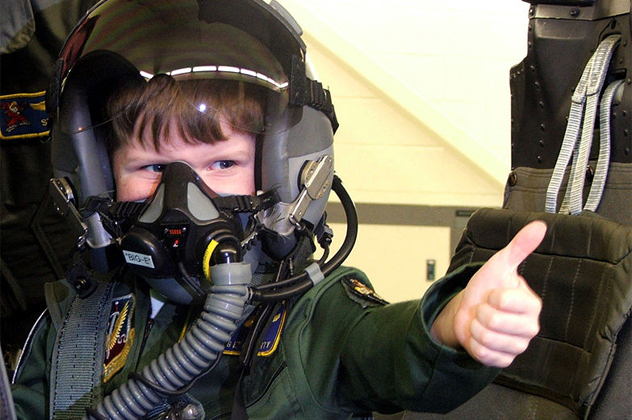 Make-A-Wish has also granted more unorthodox wishes. Bizarrely enough, the foundation used to give children firearms and arrange hunting trips. But as Batman refuses to use guns, so too does Make-A-Wish. Citing the danger to ailing children, they rescinded this policy in 1996. The backlash was unexpectedly fierce, with people levying bomb threats against the California chapter of the foundation. Make-A-Wish has not softened its stance on firearms in the ensuing years, but several other pro-gun organizations have been formed to grant children such wishes, including Hunt of a Lifetime, which grants kids with life-threatening illnesses hunting and fishing trips. 2005’s Lord of War was one of the less ridiculous Nicolas Cage movies to be produced in recent years, a crime drama about the rise and fall of an illegal Russian arms dealer. Cage’s character was loosely based on “Merchant of Death” Viktor Bout, a Soviet officer who took advantage of the fall of the USSR (and the subsequently plentiful and cheap supply of weapons) to became one of the preeminent arms dealers in the world, supplying the Taliban and various African warlords. Bout was captured in Thailand in 2008 and extradited to the United States in 2010, where he was sentenced to 25 years in prison for a laundry list of crimes. 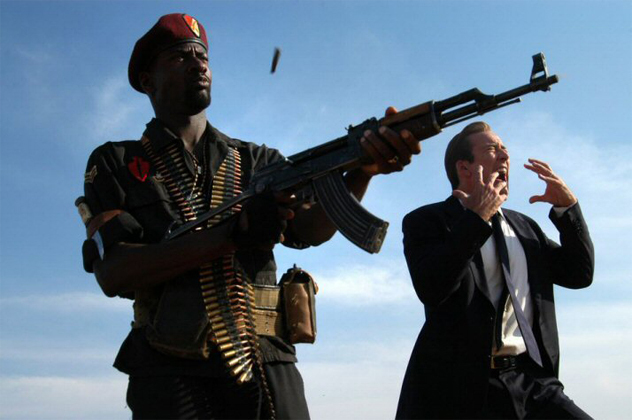 According to Lord of War director Andrew Niccol, he employed actual arms dealers to procure props for the film. The Soviet T-72 tanks seen in the movie were owned by a Czech dealer who later sold them to Libya. 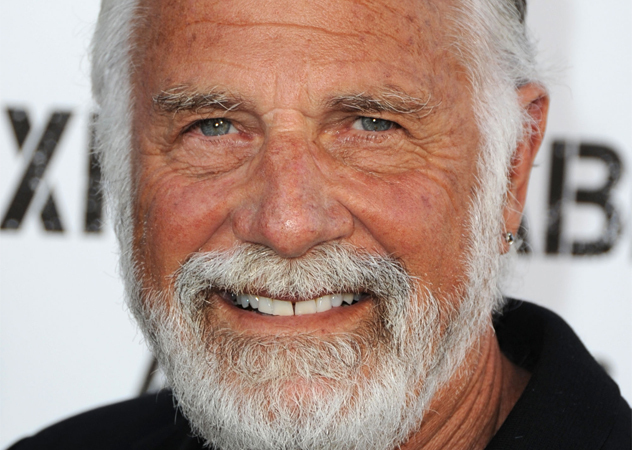 Although Jonathan Goldsmith might not be a household name, you would undoubtedly recognize him as the face of Dos Equis beer, the man with the catchphrase: “I don’t always drink beer, but when I do, I prefer Dos Equis.” Goldsmith has worked dozens of bit acting parts in movies and television over the years, but perhaps his most memorable was an uncredited role opposite John Wayne in 1976’s The Shootist. True to the eponymous title, Wayne does in fact shoot him. Unfortunately, the technology of the era was not quite up to snuff; there was no CGI to make the scene appear real. Instead, Goldsmith endured seven takes of getting shot in the face with blood pellets. 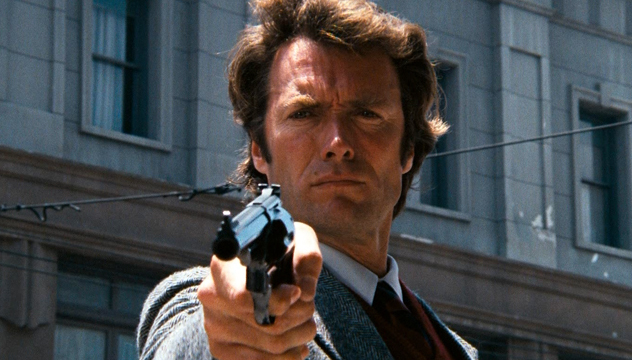 The following day, director Don Siegel (who’d also directed Dirty Harry) doubled Goldsmith’s pay.